The seat for Peachtree Corners City Council Post 4 is on the ballot in November. 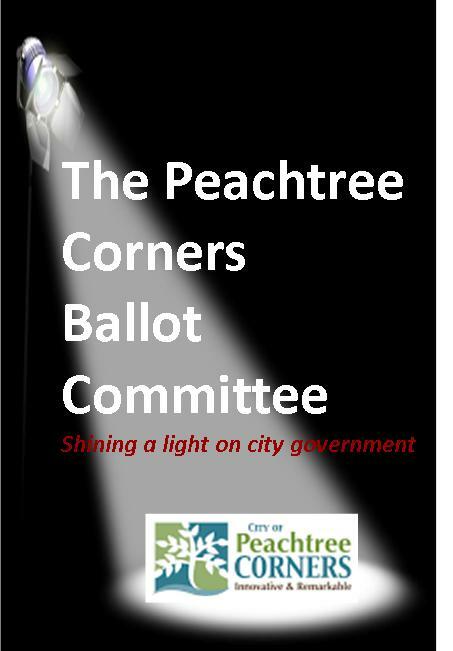 This is an At Large seat meaning all residents of Peachtree Corners should vote. 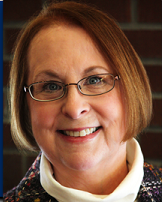 There are three candidates competing for the seat: Incumbent Jeanne Aulbach, Luke Crawford, and Joe Sawyer. We asked each candidate to respond to a set of written questions about our city and its direction. The questions and unedited answers are posted below. 1. In 2011, the idea of a City of Peachtree Corners was sold to residents as a three- service, $700,000 per year “city-lite”. In the five years since incorporation, the city has grown to include a DDA, a PFA, a Public Works department, has bought and tried to develop a mixed- use development, bought a city hall building and the annual budget is now over $16 Million. Do you believe this is in keeping with the spirit of a ‘city- lite’? If so, how? If not, what would you do differently? AULBACH : First, as a city, we are responsible for ensuring all services are provided to our citizens. We provide three directly; Community Development (as defined by the county’s Service Delivery Strategy), Code Compliance and Trash Pickup. All other services are provided through Intergovernmental Agreements (IGA’s), including Public Works. We initially contracted with the county for Public Works. We are currently contracting through Johns Creek to provide that service. Our annual budget reflects our revenue streams: Franchise Fees, Business and Occupation Licenses, Permitting Fees and SPLOST dollars. Except for small increases in your electrical and land line franchise fees, all of these revenues were previously collected by the county and spent outside of Peachtree Corners. Your county taxes are less than what you paid prior to incorporation, there is no city property tax and there is significant savings on your trash collection fees. Overall, it is less expensive to live in Peachtree Corners than it is to live in unincorporated Gwinnett County. And our services are tailored specifically for this community. We purchased the land across from the Forum to prevent apartments from being built there. After many years of planning, work is now underway on our Town Center. We were able to pay off the debt used to acquire the land and all funding for the portions the city will retain will come from reserves we set aside for this project. The DDA was required to hold the land. It is not a service or power. Buying City Hall makes sense when you look at the numbers. Our lease on our current City hall would be $15,800 a month or $189,600 a year. Does it make sense to keep paying the out indefinitely or do we invest in a building that we will own free and clear in less than 15 years? CRAWFORD: The main reason our budget so drastically increased is due to the influx of SPLOST dollars, I think the spirit of “city-lite” was in some ways lost due to that large increase in revenue. If elected, my goal would be to keep the city government as small as possible. I do not foresee the need for growth within the government as I think one of our main problems, nationwide, is the growth of government. I support the idea of limited government. 2: In 2018, the City of Peachtree Corners will begin charging/ collecting stormwater service fees and will be responsible for maintaining the existing stormwater drainage system (until now a county function). Do you believe that charging a fee and providing a new service should have been voted on by residents per the city’s charter? CRAWFORD: I do not think a vote was necessary. The stormwater service fees will not change from what residents have been paying, the city simply switched from using Gwinnett County to Johns Creek to maintain the stormwater system. The benefit of the situation is that we will have more control over how storm water issues are handled, as we will be dealing with the smaller and Johns Creek water authority. As a proponent of a small and limited government, I think it is very important for us to consider the dollars our city spends on everything, including elections. AULBACH: Again, the city has been responsible for ensuring that service is provided since we incorporated. It was provided by the county through an IGA. The only difference now will be change in the service provider. It will be provided through an IGA with Johns Creek. You are already billed for stormwater fees by the county. Those fees will not change but will come back to the city to support the service. We are already responsible for ensuring compliance with storm water regulations. And our Public Works crew has been dealing with many storm water issues, like ensuring drains are kept clear, etc. 3: During your term (if elected) the city’s IGA with Gwinnett County for police services will expire. Do you believe that Peachtree Corners should have its own police department? If so, why? If not, why not? AULBACH: I do not anticipate any need to provide police services directly. These services are covered are covered by the Service Delivery Strategy agreement that was negotiated between the county and the cities, not through an IGA. Other cities have police services provided by the county, so there are economies of scale. It is much less expensive to have this paid through our county property taxes than it would be to provide the service directly. Unless there is an overwhelming desire by city residents to have a referendum on this issue, there is no need to provide police services directly. 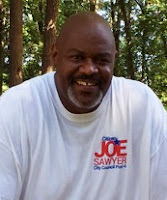 CRAWFORD: I do not, Gwinnett County Police Department does an exceptional job in handling our issues from everything I have seen and we do not need this additional growth in our government. I would like to see GPD step up their patrols in certain areas, but I do not feel the need to replace them with a PTC department. I will insist upon and hold Gwinnett County responsible to serve our city as best they can. 4: The city is in the process of building approximately 11 miles of trails for walking, jogging and biking. How do you propose to provide security for the users of these trails? CRAWFORD: The truth is that no trail will ever be perfectly safe. The continued collaboration with Gwinnett Counties police department coupled with citizens actively reporting suspicious activity will go a long way in keeping our trails safe. Lighting and call boxes would certainly be worth considering, but I could not confidently advocate for them until further researching the cost vs. benefit. We are already succeeding in developing a stable community and environment, the better job we do developing a stable community the safer our city will be. SAWYER: I think with all the technology out there we should be able to provide things like cameras , lighting and other security options. AULBACH: We are still working on the plans for the trails. Part of these plans will include security. I am certain we will be looking for guidance from other trail systems on this issue. 5: How do you see the city using the powers of the Public Facilities Authority (PFA)? AULBACH: The PFA was never activated. If we did activate, it would have no “powers” that City Council did not already have. All funding would have to come from the city by a vote of City Council on the budget. If it had been activated in time to purchase City hall, it would have allowed us to have a better funding mechanism and saved us a significant amount of fees. CRAWFORD: I could see the PFA being used in a variety of ways, but the most important implementation of the PFA should be working to reduce city costs. This could be done through longer lease agreements. 6: Given public opinion on “the bridge”, do you think it should be built? If so, why? If not, why not? And do you believe it should be voted on by residents? AULBACH: I have to make my decision on the bridge based on what is in the best interest of the city. Once Town Center is complete, there will be significant foot traffic between Town Center and the Forum, particularly when we have events on our Town Green. We need to be able to allow people to cross 141 safely. CRAWFORD: At this time I would vote no on a bridge. While not ruling the idea out completely, it is too early in the planning stages for me to make a solid decision. I would support the bridge being voted on by residents if its proposed costs are accurate. 7: There are several parcels of land adjacent to the new town center project that are still owned by others (and not part of the town center project). What would you like to see happen to those parcels and what, if anything, should the city do regarding them? CRAWFORD: The property owners should be allowed to do whatever they wish with the property, as long as it fits within their zoning allowances. If developed, I would like to see the property utilized for multi-level mixed-use space as it is proven to raise property values and generally rates very high in its value per acre. I would also love to see the property turned into green space, but do not currently see a viable way to make that happen. AULBACH: The decision of what to do with those properties is up to the property owner(s). It would be nice to see them developed in a way that would be consistent with our Town center. 8: The new town center relies greatly on small retail businesses and restaurants. Given the rise of the internet economy and the demise of many ‘brick and mortar’ retail outlets, and the competitive nature of the restaurant business, what, if anything, should the city do to ensure the long term success of the town center? AULBACH: The city has no role in ensuring the long-term success of any enterprise. Our role is to ensure we continue to attract employers and residents to the city by being both business and resident friendly. It is those employees and residents who will shop and dine, not only in Town Center, but also other establishments all over the city. 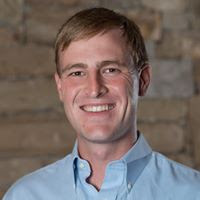 CRAWFORD: I think the primary way the city can help the growth of Town Center would be to work closely with small business owners to make sure that the process of starting a business in Peachtree Corners is easy and inexpensive. The better job we can do in encouraging small business owners over large chains, the more successful I think the town center will be. 9: Do you believe the city should be providing more services than it currently does? If so, what service(s) would you like to see added? AULBACH: The city is already ensuring that all services needed for our residents are provided. CRAWFORD: I do not; necessary services are currently well taken care of by various agreements with other cities, counties and business’s.